We aim to despatch your order within 24 working hours of it being received*. If we experience any delays in despatching your order, we will always contact you to tell you when we anticipate despatch will be. *Excludes Buildings, Housings and Shelters – please see below for details. Unless otherwise stated, Standard Delivery is free for orders within mainland UK and Northern Ireland. We deliver our products to the nearest accessible unloading point and offload them from the delivery vehicle. For orders outside of mainland UK and Northern Ireland, additional charges will apply, to arrange delivery to areas outside of mainland UK and Northern Ireland, please call our sales line on 01253 600410. From despatch we envisage that delivery would be within 5 working days. We use a variety of methods for delivery depending on size/weight of product. These include, but are not limited to, our own fleet transport, Royal Mail and national parcel carriers. Please note: Consider the weight of the products ordered for delivery. Some of our products require extra people or equipment to manoeuvre once delivered due to the heavy weight. You should consider the logistics of moving the products from the unloading point. 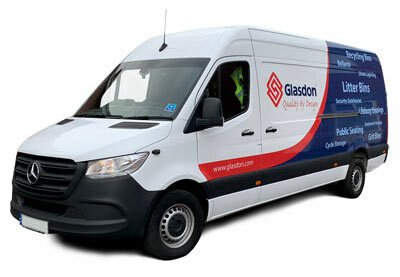 To arrange overnight delivery, please telephone our sales line on 01253 600410. Additional charges will apply. For all Buildings, Housings and Shelters products, a delivery date will be confirmed to you upon receipt of your order. Unless otherwise stated, delivery is not included within the price shown on the product page. With a few exceptions, most of our Buildings, Housings and Shelters are normally delivered to site in pre-assembled form and offloaded directly onto your prepared concrete base. Most products can be offloaded using an onboard vehicle crane, although mobile site cranes can be arranged for larger building sizes and sites with difficult access. Delivery lead times vary according to the product and specification required, although the average time from receipt of an order is around 4 to 8 weeks.